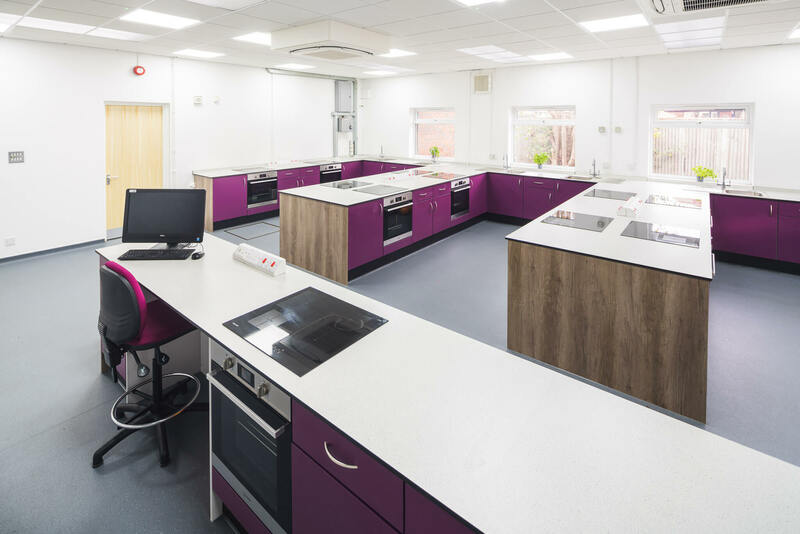 Slough and Eton School, an existing client, approached Pinnacle Furniture to complete the redesign and refurbishment of a food technology room, science laboratory, design technology area and two washrooms. 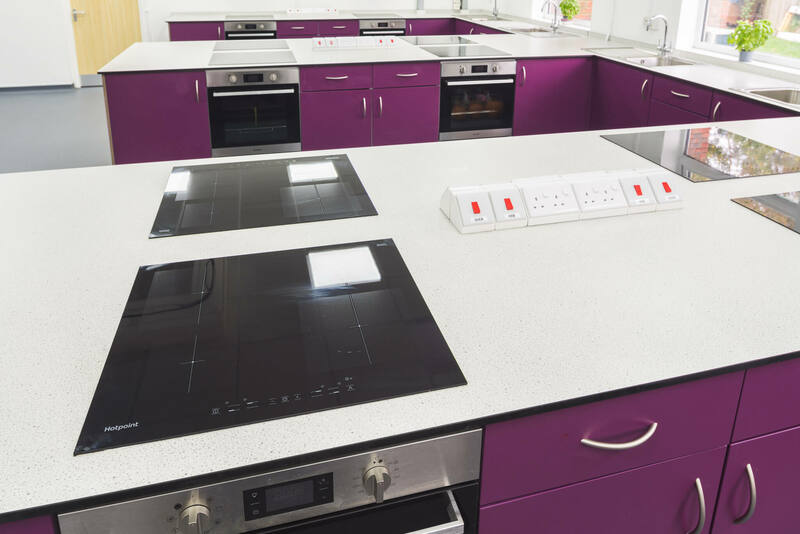 Slough and Eton Church of England Business and Enterprise College is an existing Pinnacle client, who provide education for children aged 11 to 19. 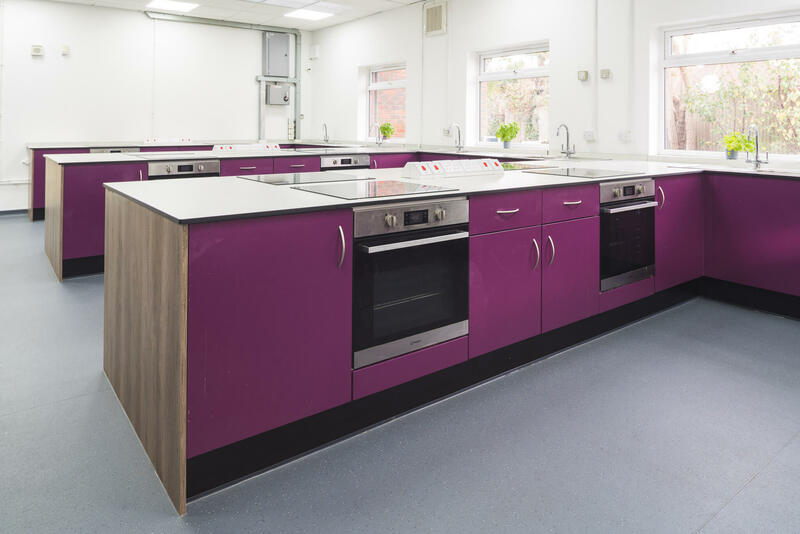 Following the highly successful refurbishment we completed of their art department, they approached Pinnacle again to refurbish other areas of the School. 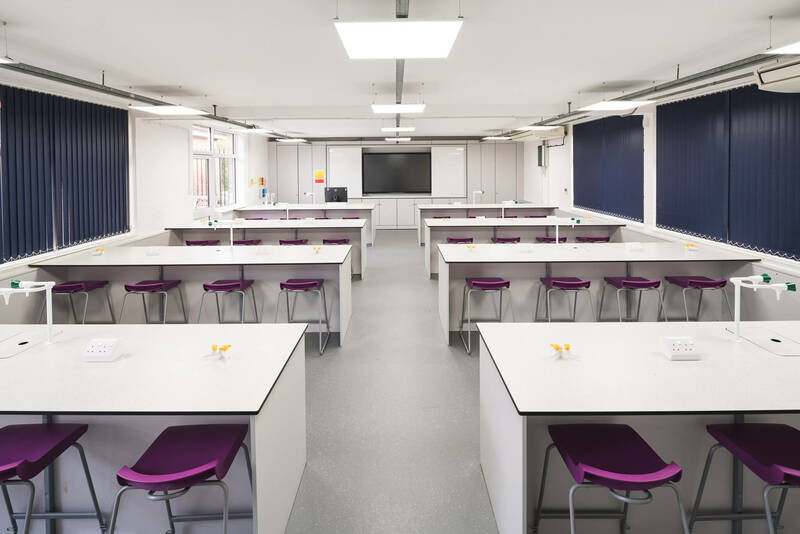 The brief included several spaces; a food technology room, science laboratory, design technology area and two washrooms. 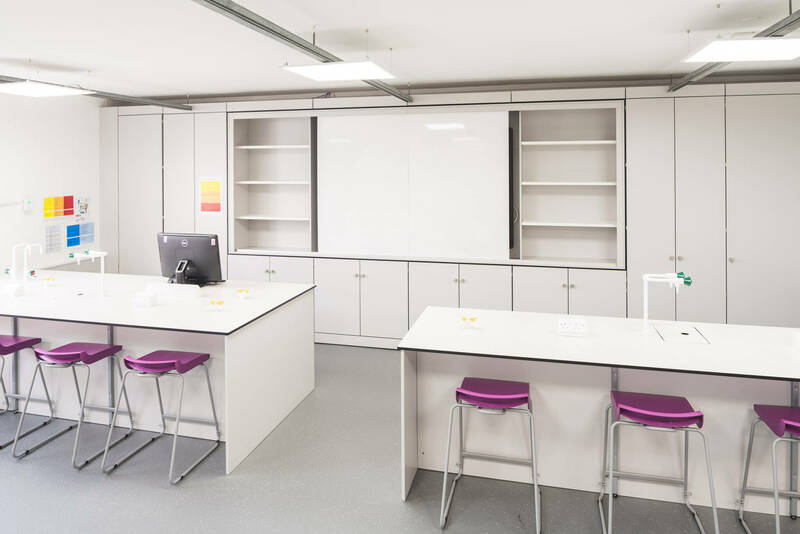 The School wanted to combine two existing rooms to create a new practical science laboratory and they needed Pinnacle to reconfigure two washrooms located next to the science block. 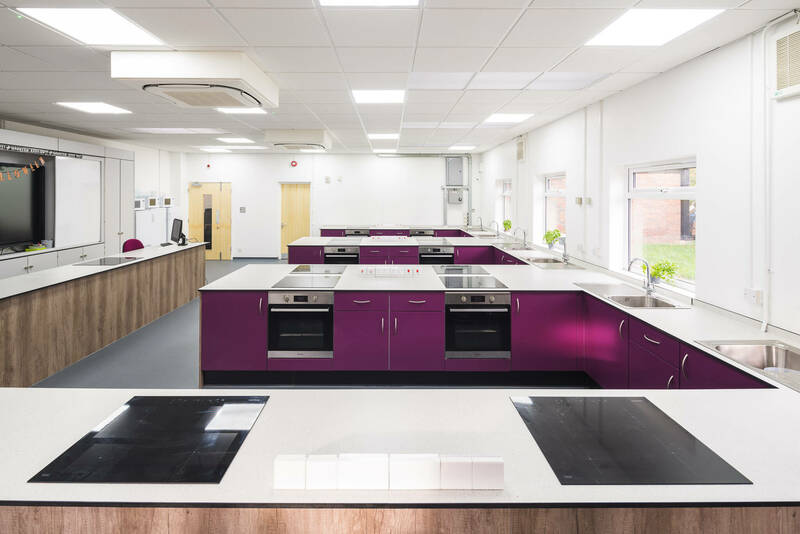 The food technology room looked dated, and the School wanted a large teacher demonstration to be included in the redesign. 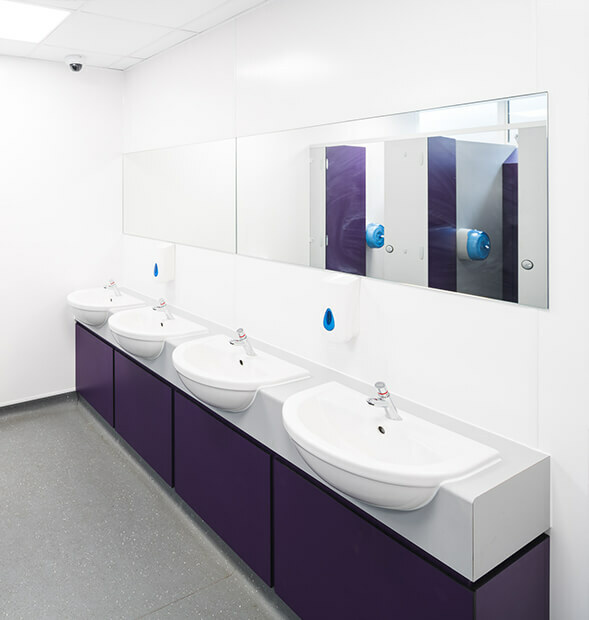 Purple is one of the main colours within the School’s crest, so our Design Team wanted to include splashes of the colour in each area. 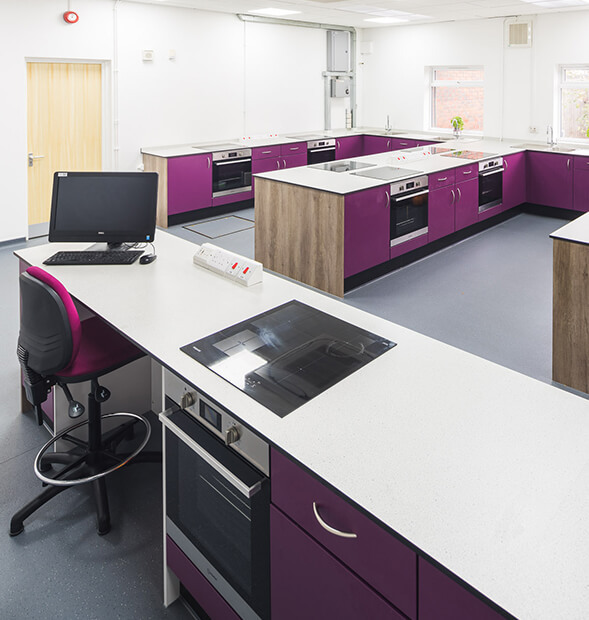 Pinnacle installed bold purple Capacity Storage units in the food technology room creating practical workstations, complete with integrated ovens, hobs, power modules, sinks and taps. 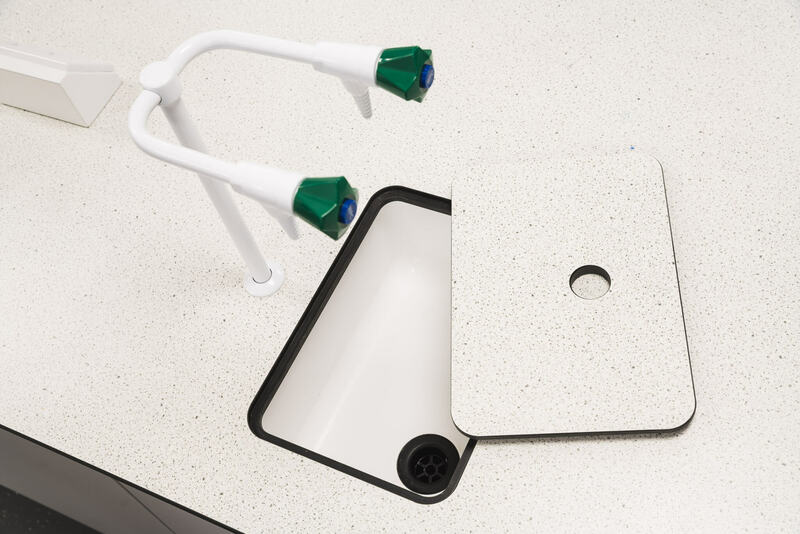 At the front of the room, we fitted a TeacherWall and a large demonstration station for the teacher. 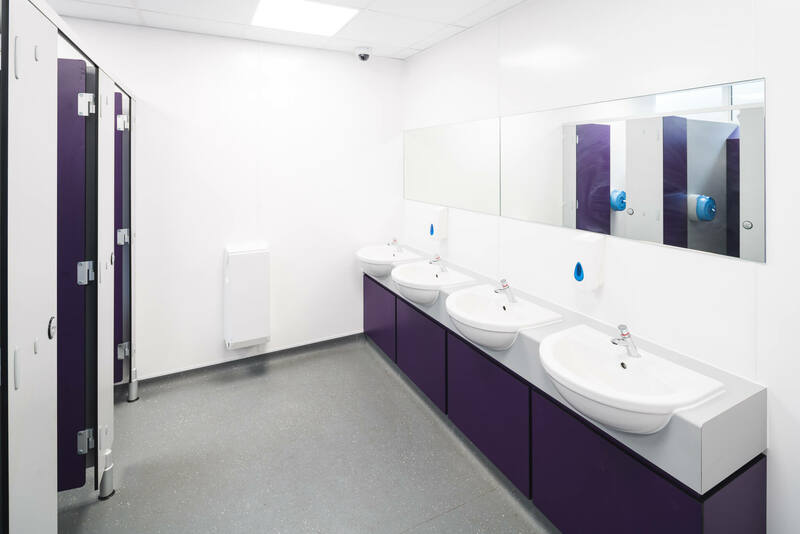 In the washrooms, we reconfigured the space, making use of the redundant cleaner’s cupboard, and created fresh, modern male and female washrooms. 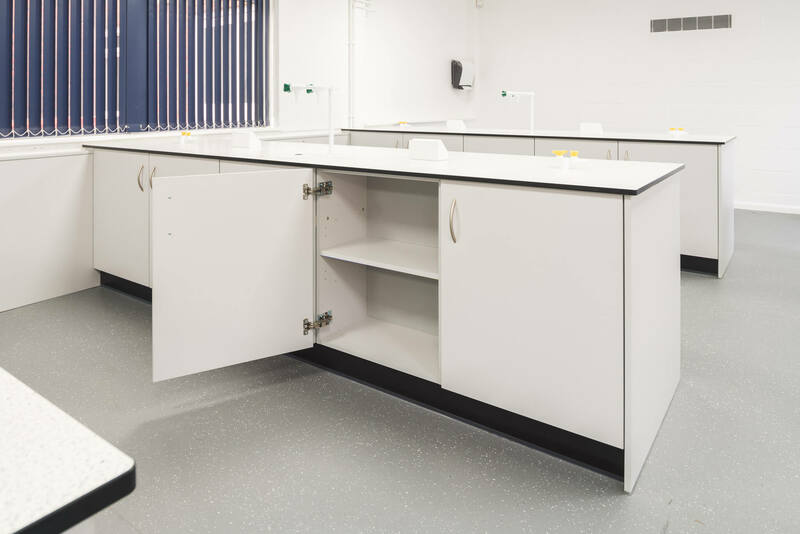 Pinnacle supplied more units from our Capacity Storage range for the science laboratory, which are tested and approved by FIRA. We also added purple Postura Plus stools for the pupils and a TeacherWall with storage elements, a dry wipe board and a TV within the reveal. 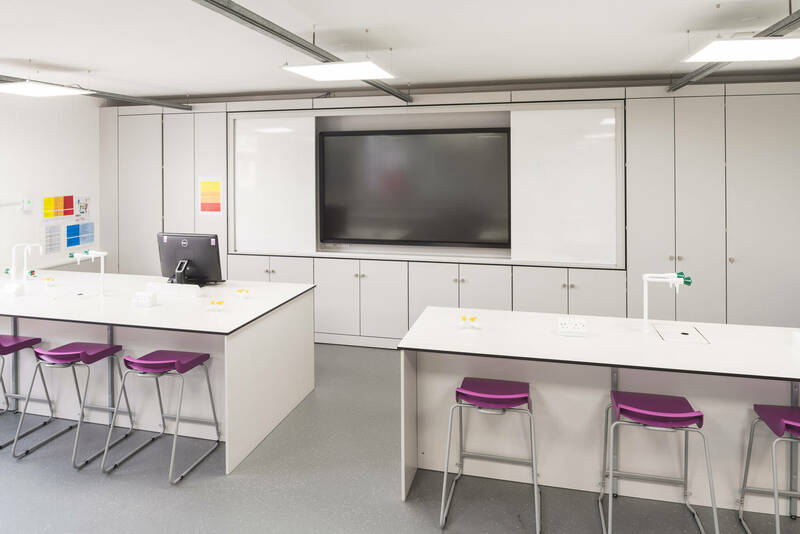 We added partitioning to an old corridor and internal breakout space to provide a new IT classroom and a bespoke island desk for the design technology room, for hot works use such as soldering.